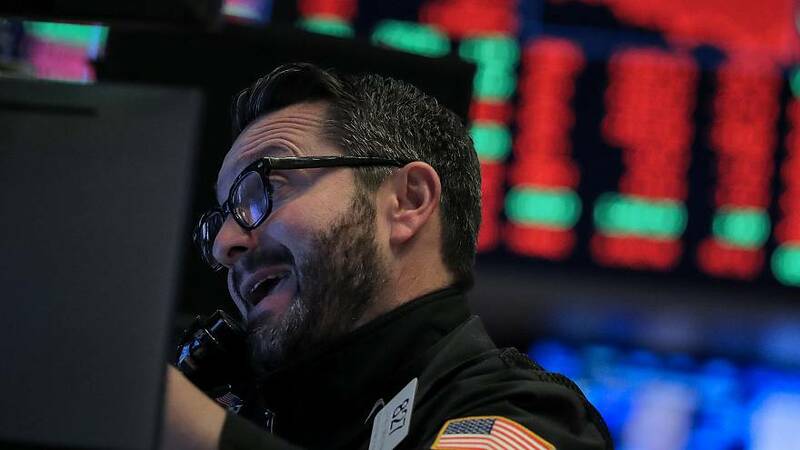 Wall Street indexes rose and bond yields followed stocks higher on Friday after U.S. President Donald Trump announced an agreement to end the longest ever U.S. government shutdown and as investors reacted to corporate earnings reports. But the dollar index, which fell from a three-week high hit on Thursday, held onto losses after the news on the shutdown as traders eyed next week's Federal Reserve meeting for insight on whether policy makers will continue to take a cautious tone on the interest rate path this year. On Friday afternoon, on the 35th day of a record shutdown that has left hundreds of thousands of federal workers missing two paychecks, Trump announced a tentative deal with lawmakers to reopen the government temporarily. Markets were choppy around the news as investors hoped the reopening would take some pressure off the economy but questioned whether a permanent government funding deal could be reached by the Feb. 15 deadline. "It does get federal workers paid, lets them collect their paychecks, so it takes that pressure off of them," so it "should be a benefit to consumer confidence and consumer spending," said Tim Ghriskey, chief investment strategist at Inverness Counsel in New York. "But three weeks from now we are going to be back in the same situation, really without a resolution with two hard-line views." The Dow Jones Industrial Average rose 183.96 points, or 0.75 percent, to 24,737.2, the S&P 500 gained 22.43 points, or 0.85 percent, to 2,664.76, and the Nasdaq Composite added 91.40 points, or 1.29 percent, to 7,164.86. The pan-European STOXX 600 index rose 0.61 percent and MSCI's gauge of stocks across the globe gained 1.05 percent. Randy Frederick, vice president of trading and derivatives for Charles Schwab in Austin, Texas said: "Earnings have also been a positive component although the number of beats is lower than the last two quarters and expectations were lowered." However, not all investors were optimistic as some turned to gold, often seen as safe-haven bet. Spot gold added 1.8 percent to $1,302.99 an ounce, helped by the dollar decline. In currency, the euro rebounded against the dollar after falling to its lowest level in six weeks Thursday when European Central Bank President Mario Draghi did not alter a downbeat assessment on the euro zone's economy. The euro was up 0.94 percent to $1.1411. The dollar index, which measures the dollar against six other currencies, fell 0.87 percent. According to the latest Reuters polls of hundreds of economists from around the world, a synchronized global economic slowdown is under way and any escalation in the U.S.-China trade war would trigger a sharper downturn. Chinese Vice Premier Liu He will visit the United States on Jan. 30 and 31 for the next round of trade negotiations with Washington. U.S. Treasury 10-year notes last fell 11/32 in price to yield 2.7513 percent, from 2.712 percent late on Thursday. Oil prices settled higher as political turmoil in Venezuela threatened to reduce supply, but fresh data on surging U.S. fuel stocks and global economic woes weighed on sentiment. Brent crude futures settled at $61.64 a barrel, up 55 cents, or 0.90 percent. U.S. crude oil futures settled at $53.69 a barrel, up 56 cents, or 1.05 pct.